CD, release comes in a Super Jewel Box -sealed-. The successful Electrostorm series enters the fourth round! 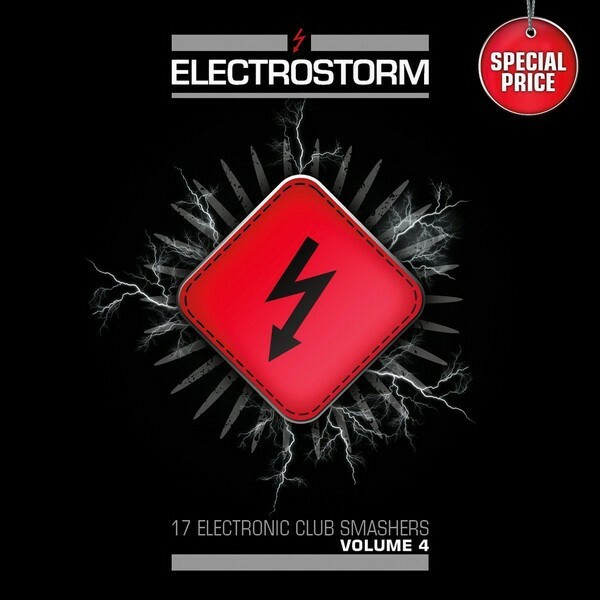 With 17 selected tracks, including various previously unreleased tracks and remixes, from the most renowned acts and best newcomers of the international electro scene. The sampler against the uniform mash... for the price of a CD single! Our popular compilation series is now entering its fourth round! Again, the name "Electrostorm" stands for unconditional quality. The new sampler brings together the most important bands of the scene with their best, new tracks and a selection of promising newcomers in 17 tracks... and all that for the great low price of a CD single! In the selection of songs there are several previously unpublished pieces, as well as some rare remixes and the band selection should make every established electro-maniac's mouth watery: of scene giants such as Blutengel, Hocico, Suicide Commando, Combichrist, Agonoize, Funker Vogt, Solitary Experiments, Amduscia or Melotron, about absolute legends such as The Klinik or Pankow, right up to top newcomers like Formalin and The Juggernauts or ingenious crossheads like Auto-Auto or Rummelsnuff, there's everything that the fan of synthetic sounds, fat beats and mechanical pressure refuelling desires. Over an hour of pure electronic feast for the ears, covering the entire spectrum of our extremely complex and exciting scene, at the price of less than two beers! The perfect companion for travelling, at home, the party and the club. Join the movement! Join the Electrostorm! 04 Funker Vogt "Hard Way"
06 Solitary Experiments "Trial And Error (Splitter RMX)"
07 Blutengel "When I Feel You"
08 Melotron "Stuck in the mirror"
10 Too Dead To Die "The War Will Never End"
13 Formalin "This Isn’t Love (2013 Rework)"
14 Pankow "Crash and Burn"
15 Aesthetic Perfection "A Nice Place To Visit (Formalin Remix)"
Customer evaluation for "ELECTROSTORM VOL.4 CD V/A 2013"